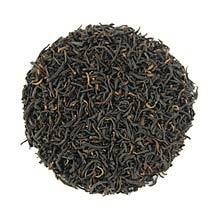 Keemun is one of the most famous Black tea in the world and Hao Ya A (Downy Buds Grade A) is the finest grade of this tea. A century ago, the best Keemun tea was a luxury beverage affordable only by the English Royal family and upper class. Not many people know this but the best Keemun originates from a small village within Qi Men County called Da Wu Village. This small village has a population of around a hundred people and produces some of the finest Keemun in the world due to its high elevation and its pollution-free environment. The locals nicknamed this village "Qi Men Cha Di Yi Cun", which translates to "Number One Keemun Tea Village". Our Keemun Hao Ya A is from this village. A wonderful complex taste with floral sweetness and hint of rosy notes. What is truly unique about this tea is that you can steep it as long as you want and it would never go bitter from over-steeping. Tiny black tea leaves with golden bud.